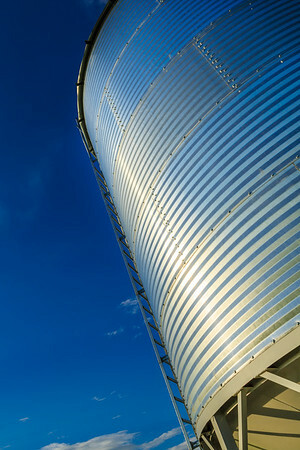 Details of a steel grain bin used in the agricultural industry. 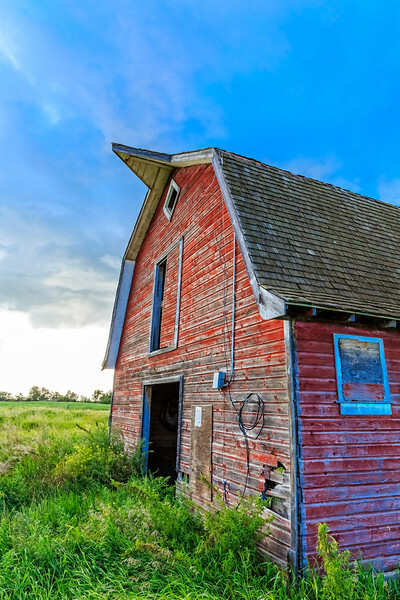 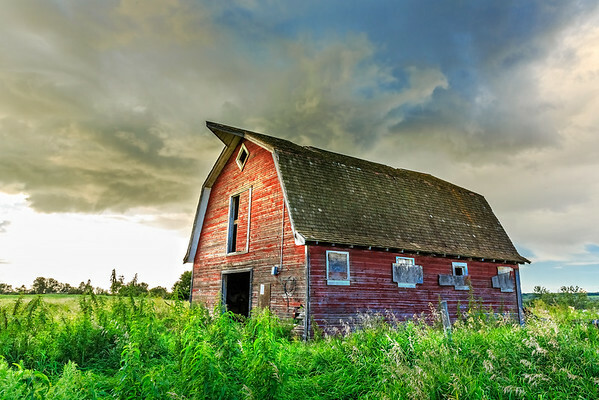 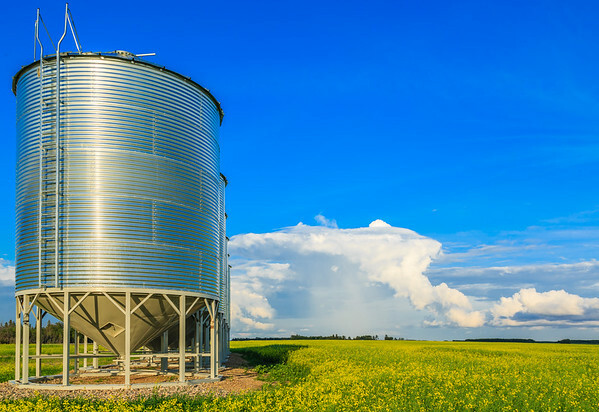 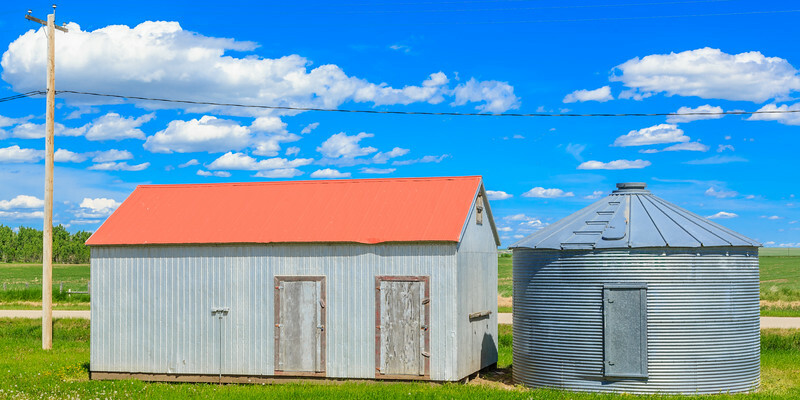 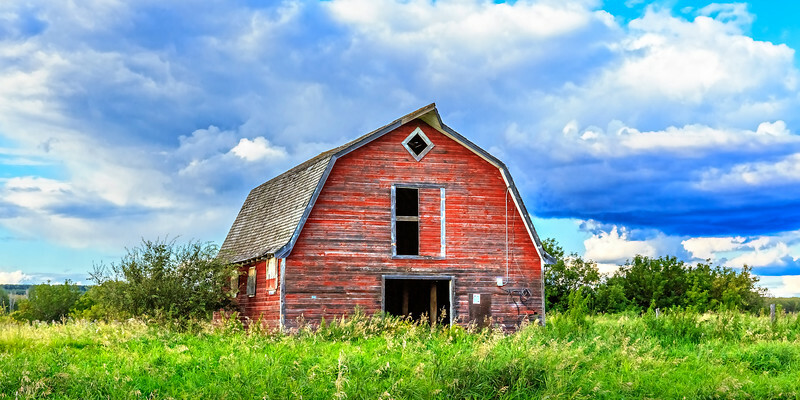 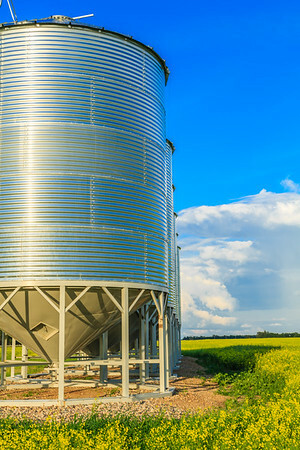 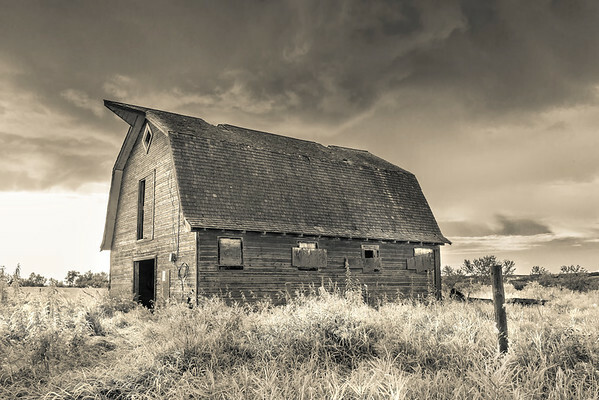 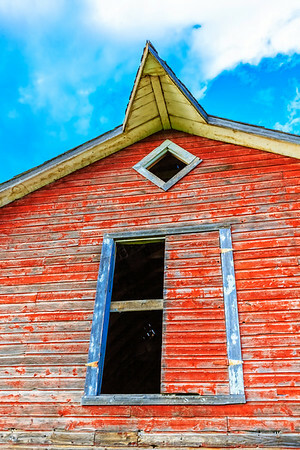 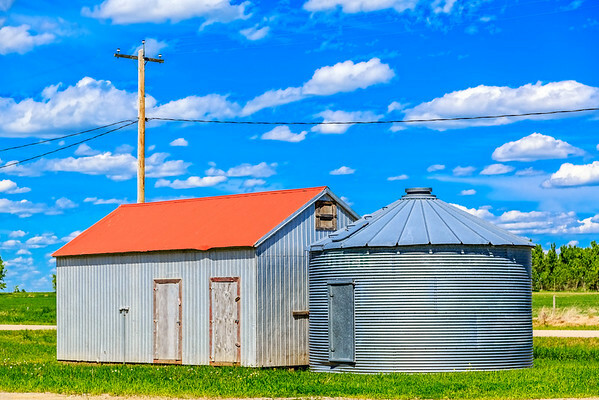 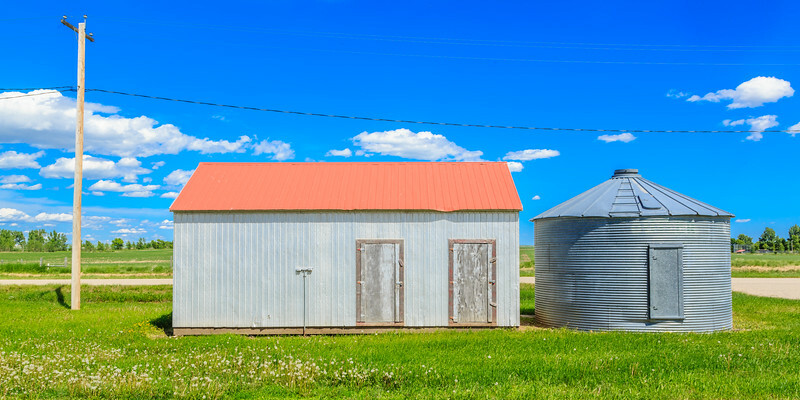 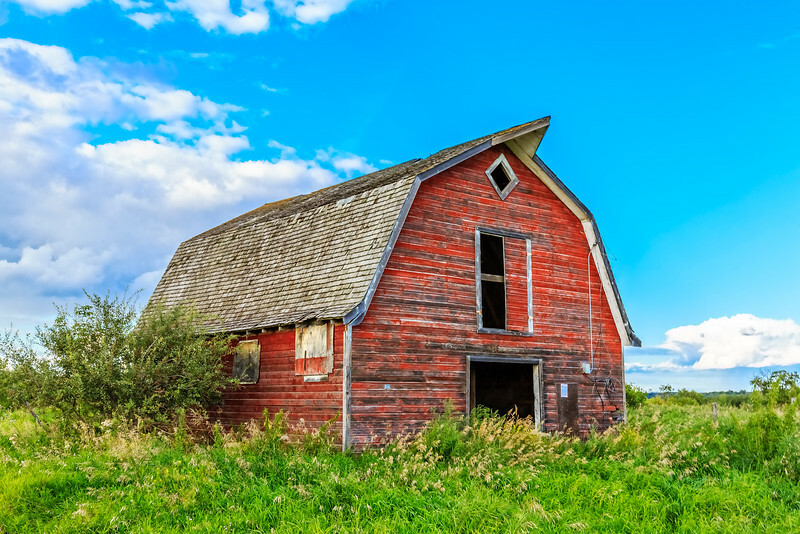 A small building stands beside a round steel grain bin in a farm yard on the prairies. 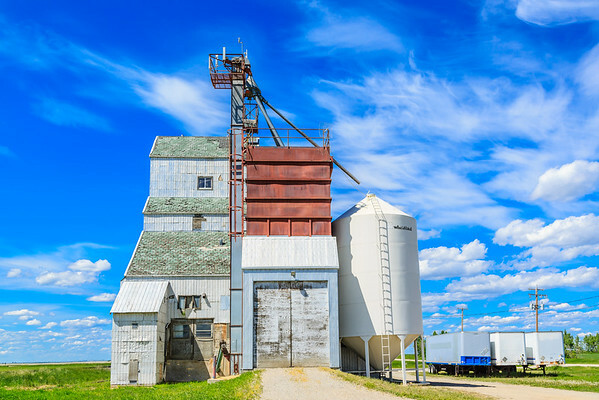 An old grain elevator has been converted into a seed farm. 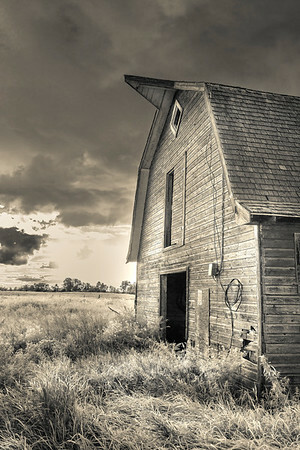 Farmers grow seeds for sale or for farm use.